Living in today’s world is all about sizing down every data you own into a small box and in these situations, hard disk becomes the hero. The Seagate 3TB Backup Plus Desktop Hard Disk is a gem especially if you need extra storage at a lesser price. 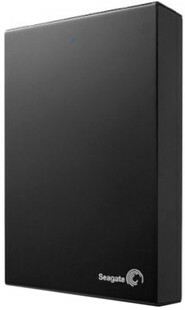 The Seagate 3TB Backup Plus Desktop Hard Disk price is INR. 6949. As mentioned, the storage capacity of the hard disk is 3TB. With this playground of storage space, you get to keep all your favorite movies and series other than your documents without the need to delete any. The hard disk supports USB v3.0 which gives more than 100 Mbps transfer rate saving a lot of your time. If you are wondering whether this hard disk supports your PC there is a range of formats it works with. The basic versions it supports includes Windows XP, Windows Vista, Windows 7, Window 8, Mac OS X 10.6 or higher. The Seagate 3TB Backup Plus Desktop Hard Disk comes with two USB ports, one for data transfer and the other for external power. The hard disk weighs 860 grams and it has a compact design making it easy to carry around. In addition, the body is shockproof so that your data is safe on the hard disk. To conclude, the Seagate 3TB Backup Plus Desktop Hard Disk is an amazing choice of a Hard disk to buy for the extra storage you get at a pocket-friendly price. The only drawback is that you need an external power source to operate this hard disk which might be a little chaotic to use. Seagate 3 TB Backup Plus Desktop Hard Disk full specs and reviews as of Apr 2019. Buy it here!